Haynes Publishing UK, 9781785212109, 224pp. Published to coincide with the 50th anniversary of the first Moon landing by Apollo 11. This book concludes the story of the Apollo project, detailing all the engineering developments made and the research carried out during the manned Moon missions. 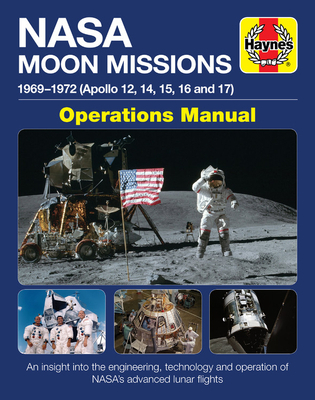 NASA Moon Missions Operations Manual completes the story of US manned spaceflight to date, completing the series of Haynes Manuals including: Mercury, Gemini, Apollo 11, Apollo 13, Lunar Rover, Saturn V, Space Shuttle, International Space Station and Skylab.